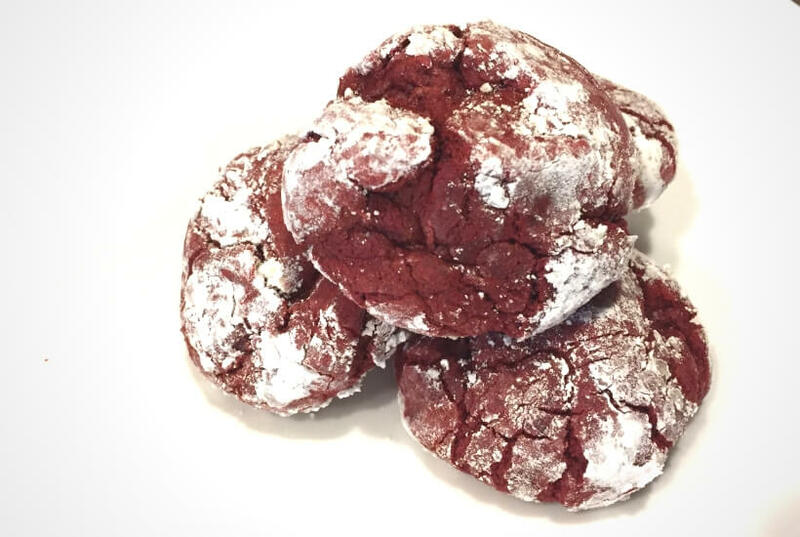 Sometimes you need something different and a red velvet crinkle cookie hits the spot. If you love the cupcake, give the cookie a try. It’s even easier to make when you start from a cake mix! 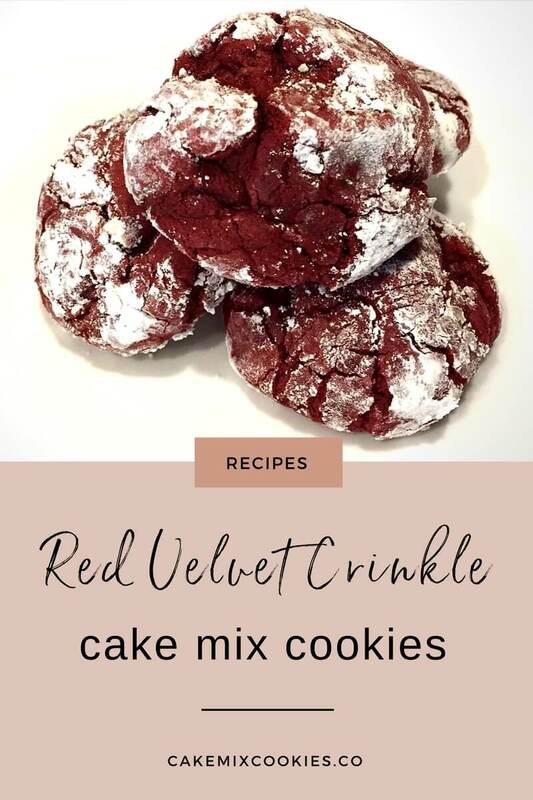 Using red velvet cake mix is a great way to start these cookies because there’s fewer steps involved and don’t have to have all the ingredients on hand. That’s especially true with red velvet given the amount of food coloring in there. The basic mix requires four ingredients to bake about 24 cookies. Add the wet mixture to the cake mix and stir until dough forms. Note: this will probably be a fairly stiff dough so use a large sturdy bowl. Roll each cookie dough ball in powdered sugar. Bake 10-12 minutes, until set. Add in a cut of white chocolate chips or candies to create your own version of this cookie. You could do a mix of mix-ins (!!! ), but make sure you keep to a cup total otherwise you’ll have more add-ins than dough to hold your cookies together.